Pump some iron! Do you know the difference between heme and non-heme iron? Did you know that iron plays an important role in ensuring wellness and optimizing physical performance? If your levels of iron are low, you may feel fatigued and run down; if you have too much iron, your levels of triglycerides and LDL cholesterol may increase. To find out exactly what your iron levels are, sign up for an InsideTracker plan. If your iron levels are out-of-range, InsideTracker will give you suggestions for diet, exercise, supplement and lifestyle changes to help you optimize them. Why do you need iron? If you’re deficient in iron, you probably have lower levels of red blood cells and hemoglobin, which can negatively impact performance and overall wellbeing. Low levels of iron in the blood can decrease your body’s ability to use energy efficiently during exercise. Symptoms of iron deficiency can include frequent injury, a weakened immune system, chronic fatigue, irritability, and a high exercise heart rate. If you’re an athlete who wants to keep your body energized throughout an athletic event, you need to maintain your iron levels so that you don’t become fatigued too quickly! How much iron do you need? The Recommended Dietary Allowance (RDA) of iron for adult women is 18 milligrams a day. The RDA for adult men is 8 milligrams. If you’re an endurance athlete, you most likely need more than the RDA of iron to keep the oxygen flowing through your body during extended workouts and competitions. Who is at risk for iron deficiency? Three groups of people face increased risk of iron deficiency: athletes, women, and vegetarians. Athletes tend to deplete iron at faster rates than non-athletes, which can explain why nearly twenty percent of all recreational athletes are anemic and a third are iron deficient. Your body loses iron during heavy training periods through sweating, running, and the gastrointestinal bleeding that can sometimes follow intense workouts. So, it’s very important to watch your iron intake to avoid plateauing during an athletic event. Athletes with low levels of iron should raise their blood iron level, which consequently increases the amount of oxygen their lungs can absorb (known as their VO2max) and their anaerobic capacity. Pre-menopausal women are at an increased risk for depleted iron levels because of the hemoglobin that is lost in blood during menstruation. In particular, female athletes are three times more likely to be anemic than non-athletic women. Finally, vegetarians are also at risk of iron-deficiency because the iron in plant-based foods is harder for the body to absorb than the iron in animal products. What are the different types of iron? 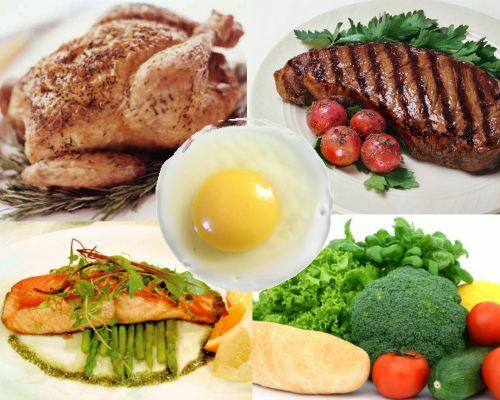 There are two types of dietary iron: heme and non-heme. When many people think about dietary sources of iron, the first image that comes to mind is red meat, but plant-based foods can contain iron too! Meat, especially red meat, is the best source of heme iron. When we eat meat, we consume the blood proteins and the hemoglobin that are contained in the body of the animal. In contrast, non-heme iron comes primarily from plants. Non-heme iron actually comprises the majority of the iron that we consume in our diets. Rice, wheat, oats, nuts, fruits, vegetables, beans, and fortified processed foods are typical sources of non-heme iron. Heme iron is typically absorbed at a higher rate than non-heme iron, which means that the body more easily absorbs iron from animal products than iron derived from plant foods. If you’re a vegetarian, keep in mind that the absorption rate of the heme iron from animal-based sources ranges from 15-35 percent, compared to 2-20 percent absorption of non-heme iron. Therefore, vegetarians may need to consume twice as much dietary iron as meat-eaters to absorb an adequate amount of iron each day. There are many good sources of non-heme iron. Dark leafy greens and dried beans are among the best vegetarian sources of iron. Many breakfast cereals and bread products are fortified with iron, so make sure you’re eating plenty of those, especially whole-grain foods! InsideTracker has a vegetarian option and will recommend a variety of veggie foods that can fulfill your iron needs. In addition, several types of foods can reduce the amount of non-heme iron that the body absorbs. For example, the tannins in coffee and tea, dairy products, fiber, eggs, and some types of chocolate can inhibit the absorption of non-heme iron. The good news is that vitamin C helps to markedly increase the absorption of non-heme iron. For instance, drinking a glass of orange juice with your dinner can increase non-heme iron absorption up to six-fold! Regardless of whether or not you eat meat, it’s important to know your iron status. InsideTracker blood analysis can tell you if you need to increase your consumption of dietary iron, so get yourself checked today!